Jaguars running back Leonard Fournette has a new offense to learn. He has a new starting quarterback to play with in Nick Foles. Most importantly, he has to start winning back the trust of Jaguars personnel chief Tom Coughlin and coach Doug Marrone. This is a big month for Fournette. The voluntary off-season program is a forgettable time of year for the majority of NFL players. For Fournette, this next month couldn’t be any more vital. The Jaguars voided $7 million in base salary from Fournette’s rookie contract after he was suspended for one game last season for fighting during a loss to Buffalo. Fournette is appealing. This relationship, which began with the Jaguars selecting Fournette with the fourth-overall pick in 2017, is tenuous. Fournette had a good rookie season, scoring 14 total touchdowns as the Jaguars made the AFC Championship Game. His sophomore campaign was a disaster from the start. He injured his hamstring in the opener against the New York Giants and would gone on to miss eight games total. He was ejected in the Bills loss. Fournette only logged over 18 carries in two games last season. 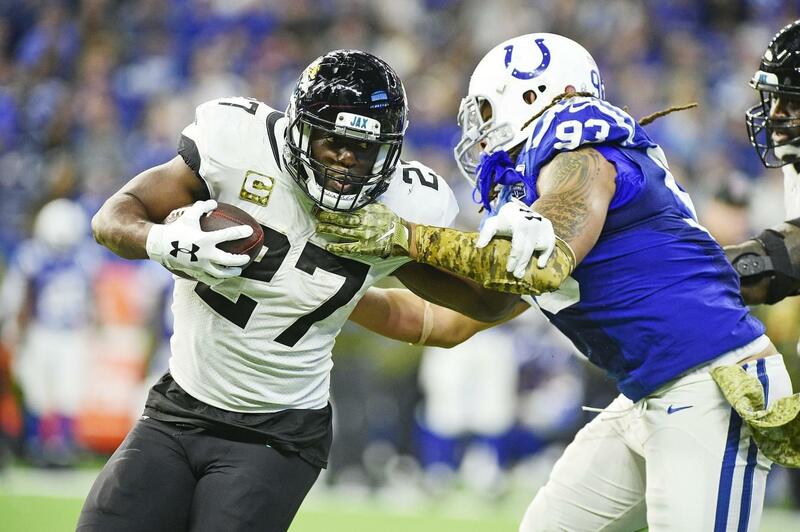 Coughlin issued a public rebuke of Fournette and running back T.J. Yeldon for how disengaged they were during the team’s loss at Houston in the finale to conclude a 5-11 failure. Fournette was inactive for the game. Fournette’s professionalism and maturity have to improve. That process needs to start Monday when the Jaguars voluntary off-season program begins. Fournette needs to be a full participant. He should be excited to be a full participant. This will be his first introduction to new offensive coordinator John DeFilippo’s scheme, as well as the start of building a relationship with Foles. Fournette has never been a playbook expert. He needs to spend the time to master it. Phase One is an ideal two-week period for that process to begin. Players are in the building for four hours a day, but only 90 minutes can be on-field work (with only strength and conditioning coaches). The team can only specify two of the four hours. Fournette should be glued to Foles and DeFilippo’s side. Since players can choose two of their hours of work, Fournette should align his with Foles. Teams can get better in Phase One, but only if the players make it happen. Fournette should set a goal to have a firm grasp of the initial offensive install by the time the Jaguars take the field for their first OTA practice on May 21. Fournette has been working out in Wyoming with his former strength coach at LSU. His conditioning will be important as well. Marrone lamented how the players that missed a bunch of games with injuries last year were the ones that also didn’t perform well in their off-season conditioning when he closed the season with the media. That was a major emphasis for Marrone in his final team meeting on Dec. 31. Marrone was asked to specify the tests he was referring to in his answer. Yes, the off-season program is voluntary. However, if Fournette is going to have a successful career with the Jaguars how he treats this next month will shape that path. He carries the sixth-highest salary-cap hit among running backs this season. There’s no financial reason for him to skip. It’s not too late, Leonard. But it might be if you blow off this next month.